Over 50,000 San Diego County students have access to locally grown fruit and vegetables in their cafeterias, thanks to the Harvest of the Month Program. The Harvest of the Month in the Classroom Program curriculum is aligned to national and state academic standards. We co-facilitate the San Diego County School Garden Collaborative to support and advance garden-based learning for all youth in San Diego County. Training, networking, and local resources are provided to classroom teachers and garden educators to sustain healthy school gardens. The Harvest of the Month Program has inspired new connections between our local farming community and San Diego County school cafeterias, worksites and food retailers. In elementary school classrooms, children now have the opportunity to learn about their local farmers, see how their fruits and vegetables are grown, and taste seasonal farm produce in their school salad bars. We work with over 20,000 employees from 150 worksite locations to increase access to fresh, seasonal produce in the workplace setting through efforts like community supported agriculture (CSA) programs and healthy cafeteria makeovers, as well as Harvest of the Month marketing and promotion. 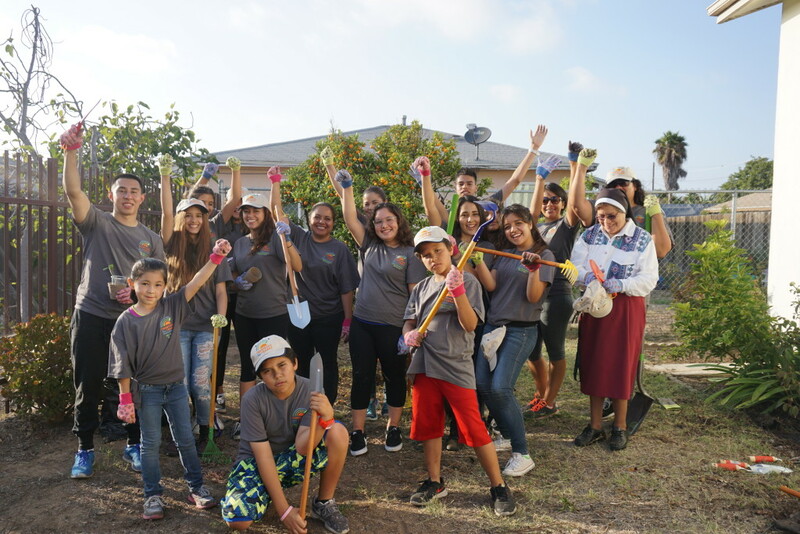 We connect with garden groups like the Linda Vista Community Garden and Mt. Hope Community Garden to help provide urban growers with new opportunities to sell and promote their produce in neighborhood markets. We also serve in a leadership capacity with the San Diego Food System Alliance, organizing advocacy efforts to promote the passage and implementation of AB551: Urban Agriculture Incentives Zones in San Diego County and its cities. This policy increases access to vacant urban land for agriculture use and can benefit our community garden partners. We work with small neighborhood markets like Louie’s Market Place, in the Oak Park neighborhood of San Diego, to improve and promote access to healthy affordable fresh foods using multiple strategies such as: market design and layout support, shopper surveying, neighborhood resident engagement, and connecting market owners to local produce growers. We help promote universal access to EBT at farmers’ markets and advocate for Market Match to support low-income shoppers’ ability to afford fresh, healthy, and locally grown foods. 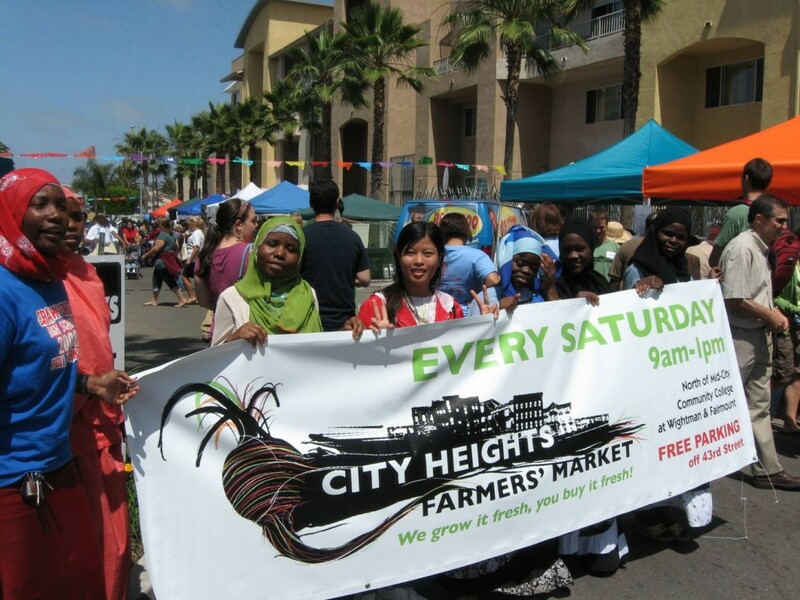 We also work with youth and residents to advocate for walkable and bikeable pathways to healthy places like the City Heights Farmers’ Market. Working within the cultural framework of religion, our interfaith, intergenerational approach has established partnerships with faith-based organizations across the County to implement Healthy Eating and Physical Activity policies, create community gardens, become food distribution sites and initiate joint-use agreements with local recreational centers in a culturally sensitive and aware manner that responds to the specific needs of our diverse communities. Understanding food environments and the factors that influence a food system, insecurity, and access is a complex task. Race, class, and gender play critical roles in determining population health, poverty, hunger, and access to affordable healthy foods. We help cultivate a food system that actively considers the environment, economy, equity, and education by engaging with community partners in schools, grocery stores, faith-based organizations, and worksites. We collaborate with public and private entities, and community residents to develop and implement effective solutions in multiple settings. We strive to increase opportunities for access to healthy, fresh, and affordable foods. Additionally, we focus on building educational capacity on the connection between a thriving food system and the well-being of a population. The following provides a snapshot of our work and services. From large corporations to local service groups, we help our partners implement healthy food projects in their communities. Harvest of the Month is an educational initiative to promote the region’s seasonal produce items in schools, worksites, grocery stores, farmers’ markets, faith institutions, and other community-based settings. We collaborate with growers and community organizations to develop an annual San Diego Harvest of the Month calendar that highlights in-season produce items to look for each month. At intervention sites, participants try new produce items and learn how to prepare and store seasonal selections through our comprehensive technical assistance approach. We work on building solutions towards a more equitable food system by collaborating with multiple stakeholders on a common policy agenda that promotes a healthy and thriving San Diego for all. Our staff leads and participates in several coalitions and advisory groups to provide expertise on food system policies. The Alliance is comprised of 33 Voting Members and over 80 organizations in the broader network, representing nonprofits, government institutions, businesses and community members. 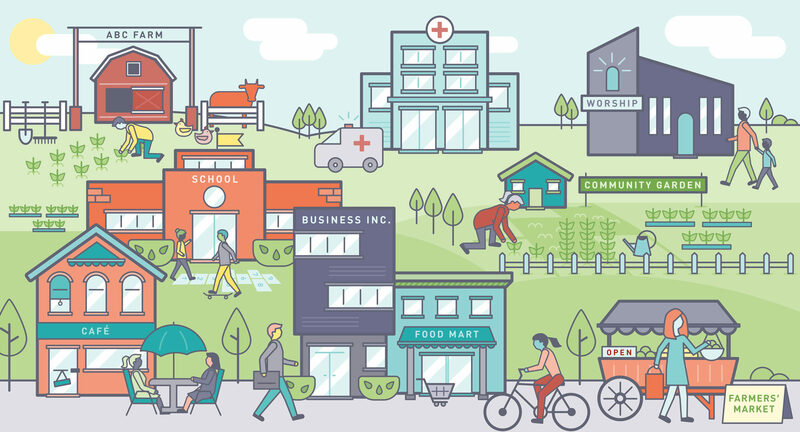 Due to the diverse nature of the membership, the Alliance is best-positioned to provide thorough recommendations, both programmatic and policies, to further our food system goals in San Diego county. San Diego’s seasonal produce helps communities maintain healthy lifestyle habits. Harvest of the Month promotes the region's seasonal produce items. Get in touch to request research, facilitation, training, and/or technical assistance services to support your own food system efforts.